From Mediaite: How can Obama compromise with the GOP? Mediaite reports on one answer to the question: “On Sunday’s The Chris Matthews Show, the panel guests discussed Congress’ inability to pass new gun laws and just how much blame President Barack Obama deserves for that failure. Some of the panelists agreed that Obama and his administration have a chronic communications problem, but former CBS News anchor Dan Rather defended the president. He said that the Obama’s critics who ‘want to cut his heart out and throw his liver to the dogs’ make it difficult for the president to work with them.” Read on and watch video of the segment here. 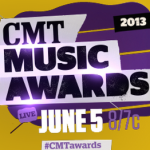 From Gossip Cop: Who leads the CMT nominations? Gossip Cop has the scoop: “The 2013 CMT Music Awards nominations were announced on Monday, and Miranda Lambert leads the pack with four nods. She’s tied, however, with Luke Bryan and Eric Church, who also racked up four nominations. All three are nominated in the coveted Video of the Year category, along with Taylor Swift, Carrie Underwood, Brad Paisley, Hunter Hayes, Florida Georgia Line,Jason Aldean, Little Big Down, Kenny Chesney, and Tim McCraw. Lambert, Church and Bryan (with Ryan Tedder) also join Dierks Bentley, Rascall Flatts & Journey, and Toby Keith in the CMT Performance of the Year category. This year’s show, hosted by Aldean and Kristen Bell, will air live from Nashville on June 5.” See the full list of nominees here. 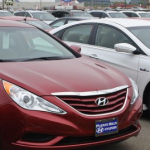 From Geekosystem: Hyundai is backtracking after a recent commercial was not well-received. Writes Geekosystem, “When you attempt to purge the Internet of some kind of media that’s gone public, all you’re going to do is draw even more attention to said media. Everyone should really know by now that the cat really doesn’t effectively go back into the bag once it’s out. It’s just common sense, or so we thought. Case in point: Hyundai’s been trying to cleanse YouTube of their recently pulled suicide ad. The ad centers around a man trying to commit suicide by locking himself in his garage with a running Hyundai. It doesn’t end as planned since the the vehicle lacks the carbon monoxide emissions to achieve his goal, so he walks away. Hyundai, and the ad agency Innocean Europe, apparently thought this was a ‘viral’ advertisement rather than an incredibly poor one.” Read more here. From Styleite: Keira Knightley surprised us all by getting married this weekend. But what did she wear? Styleite reports: “In case you haven’t already heard, Keira Knightley and James Righton tied the knot this weekend in the South of France at what looked to be a lovely, low-key ceremony. So low key in fact, that the actress donned a dress she pulled out from the back of her closet — not the worst idea when your closet is filled with gorgeous Rodarte frocks. While the dress was first reported to be a Karl Lagerfeld design (unsurprisingly since Knightley is a former face of Chanel and is playing Coco herself in an upcoming short film), photos from a 2008 BAFTA party prove that this wasn’t the first time she’s taken it out for a spin. For her nuptials, she dressed it down with a tweed jacket, Ray-Bans, and a string of flowers in her hair for a pretty, unconventional take on wedding attire.” Read the full story here. 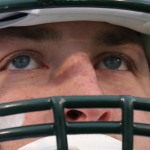 From SportsGrid: The Tim Tebow madness continues. SportsGrid investigates the latest: “He barely played last year. He was just cut by the Jets. He’s getting offers to play for $75 a game. He’s not a good ‘quarterback’ by most definitions of the term. And yet, he topped this year’s list of Forbes’ ‘Most Influential Athletes.’ He’s Tim Tebow — the biggest enigma in pro sports today. According to Forbes, when Americans are asked ‘Which pro athletes do you believe carry the most influence with the public?’ things such as winning percentage, personal statistics, endorsements and ability don’t come into play as much as ‘Is he Tim Tebow?’ As it turns out, you don’t need to play that much to make it onto this list. The top four athletes were either in action for just a few weeks last year, or spent time on the disabled list.” Read the list and more here. From The Mary Sue: It’s Warner Bros. versus the indie kids. Who will win? Writes The Mary Sue’s Jill Pantozzi: “I think we need to go over how Kickstarter, businesses, and ownership works again. As soon as I heard this story, I knew it was ridiculous. 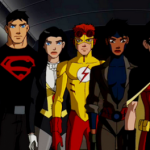 A group called “my Show Must Go On,”SMGO for short, recently made an attempt to bring back Cartoon Network’s Young Justice andGreen Lantern: The Animated Series. You may remember the DC Nation shows being cancelled, meant to be replaced by the revamped Teen Titans Go! and Beware the Batman. Well, apparently they weren’t just working on bringing those two shows back, but were actually trying to be a crowdfunding site, much like Kickstarter, specifically for cancelled television shows. Anyone else see a problem with that? Yes, a lot of fans (myself included) were upset with the cancellation of Young Justice andGreen Lantern but…you can’t just crowdfund someone else’s property without their permission.” Read on here. 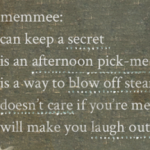 From The Jane Dough: In the age of everywhere-technology and social media, how do you know what not to share online? The Jane Dough talks to an expert: “Aly Racer has an incredible pedigree in digital media, working for companies like The New York Times and Daily Candy before deciding to strike out on her own with a new social platform called Memmee. We got to chat with her about the process of forming her own startup, how she sees social sharing evolving, and her own best practices for sharing personal information online.” What did she say? “Look, digital media [and] the connectivity that we have in this world is priceless. We’re living in the golden age of technology and it’s awesome. But there comes a time when on Facebook you see people who are oversharing or whatever, and it’s kind of a drag. And I don’t share so much of who I am on Facebook.” Read more here. 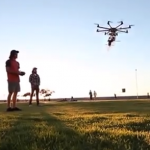 From The Braiser: Watch out for the drones… carrying beer! The Braiser reports: “You would think that America, the great nation which invented drones and multiple mechanisms that move beer from Point A (the bottle) to Point B (your belly), would have invented a beer drone first. You’d think that America would conduct a peace campaign throughout the world by dropping hearty American microbrews on small villages and giant rock concerts, generating international goodwill. But who’s now at the cutting edge of technological innovation? South Africa. Mashable reports on this slide in American supremacy.” Read all about it here.